Since the beginning of civilization, the favoured method of barbarians out to destroy great civilizations was to destroy their places of learning. Most Mayan writings of the Aztecs were destroyed by Bishop Landa of the Roman Catholic Archdiocese of Yucatán, while other Catholic priests burned the great Aztec library of Netza Hualcoyotl in Mexico City in the sixteenth century. Pope Gregory the Great ordered the library of Palatine Apollo burned in the late sixth century. The great library of Alexandria, perhaps the greatest library in the western world, was burned at the urging of Christian Bishop Theophilos. The largest library in the world at the time, at Nalanda, which contained an estimated hundreds of thousands of manuscripts, was destroyed by Bakhtiyar Khilji’s hordes in 1193 CE. During the twentieth century, thousands of books were burned by the German Student Union in Nazi Germany in 1933. Things have now changed. Universities, or libraries, are no longer seen as places to be physically destroyed by those inimical to civilization. They have instead been infiltrated and turned into centers for brainwashing entire generations of students into ardent followers of every single genocidal philosophy that has gained currency at some or the other point in time – Fabian socialism, Marxism, communism, liberalism, Maoism, socialism, and a peculiarly Indian variant – Naxalism, the students and academics becoming Urban Naxals. In India, we have the example of Jawaharlal Nehru University, commonly referred to as JNU, that was set up by then prime minister, Mrs. Indira Gandhi, in 1969. Spread over one thousand acres in the national captial, it has, over the decades, like every other white elephant in the country, devoured hundreds and hundreds of crores of taxpayer money by way of subsidies. Its contributions range from becoming a den of sedition to a hotbed of communism, and where students spend years and years at the campus allegedly in pursuit of degrees and doctorates that never materialize even as their political careers take off. Historians there falsify and distort history, indoctrinating thousands of students into becoming zombie-like followers of such ideologies as Marxism. This book is partly the story of an attempt to shine the disinfecting light of truth at some of these places. Imagine a hypothetical scenario, where two pugilists face off in a boxing ring. To all spectators, it is clear that one boxer is clearly stronger and better trained than the other. The referee, however, orders the stronger boxer to be blindfolded and has both his hands tied behind his back. Not a fair contest, you may argue. However, the referee proclaims that he is doing so in the interests of the sport, and that the now blindfolded boxer does not deserve to win. The fight starts. The boxers spar for a few rounds. It is a pitiably one-sided fight. Then, unexpectedly, the referee is changed. Most now expect the new referee to create a level playing field. Except, the referee doesn’t do what most expect of him. The referee seeks the moral high ground by claiming that he does not want to interfere, that no boxer should be dependent on the referee. The referee’s job, he maintains, is only to award the winner. People wonder and stare, some in disbelief, some in despair, and some with unbridled glee. It was in December 2010 that Vivek Agnihotri – the author of this book and the maker of what would become a movie titled, “Buddha In a Traffic Jam“, and which would release in 2016 – found himself and his family caught in the chaos created by the Gujjar agitation even as they sought to get to Jaipur from Agra. Driven through country, village, and then over no roads, in the middle of a freezing north Indian winter night, insights, like this – “Social disparity in India is a function of economic disparity. We have been trying to find socio-political solutions for fundamentally economic problems” struck him. As did the idea for the movie. What had started out as a proposal to do a crime thriller, set in the environs of the Indian School of Business (ISB), morphed into an exploration of the urban nexus with the rural Naxalite insurgency. This string of an idea and a shoestring of a budget were what the fate of the movie hung by a thread on. That, and the generosity of actors like Anupam Kher and others, who cut their fees upon hearing the plot of the movie and the passion that Vivek evidently exuded. The narration of Vivek’s struggle has three distinct parts. The first is his journey as a filmmaker and a peek into the creative process as every chapter in the movie took form – whether it is the decision to structure the movie in a book-like chapterwise fashion, or whether it is his personal experience in getting a prompt response from his satellite TV provider only after going on Twitter to complain, or how that experience leads him to project his protaganist as a social-media influencer. Along the journey, you also get a peek into the technical components of film-making. A single department like Camera involves a camera, a cameraman, the supplier of the camera, attendants for the camera, the lenses and accessories used, focus puller, lighting, light boys, the electricity for the lights, which comes from a generator, which requires diesel – an exquisitely – and maddeningly – interlinked web, without which a movie remains either in the filmmaker’s head or as a script no one will read. The emotional and financial ups and downs a filmmaker experiences in a single moment is captured when the Dean of ISB generously grants the film’s crew access to the institute’s facilities and on-premises accommodation at nominal charges, and in the very next breath prohibits Vivek from using generators, lights, and cables on the premises! Getting Anupam Kher to stay on campus, instead of a five-star hotel, is another adventure in itself, and which shaves a few lacs from the stretched budget! You also get to read the absolute hypocrisy of left-leaning, Naxal supporting artistes, who spend their time performing pro-Naxal songs, supporting leftist ideology that advocates the destruction of the nation, but have no qualms in wanting to work for a movie that is harshly critical of the Naxal terrorist movement. One such experience that Vivek recounts was with a starlet who earned lacs of rupees from state-run television channels even as her political ideology called for the complete destruction of the same state. Or the hideous reality of a journalist – and son of a disgraced general – who told Vivek he wanted a National award winning actress replaced because she was dark. His preference was for someone fair. The second part of the book is the research into and thoughts on the Naxal menace that has taken thousands of lives over the decades and which has spread its tentacles into urban India, indoctrinating students into becoming screaming advocates of murder, violence, and anarchy – at government-funded universities. Economics was what gave birth to the Naxal menace, and economics is what sustains and fuels it – just the Naxal/Maoist extortion business is estimated at over two-thousand crores. “All contractors have to pay five to ten percent of the project cost to Naxalites as ‘protection money’. Trucks that pass through the ‘Red Corridor’ pay Rs 1,000 each per month.” Vivek writes about the tragic tale of Niyamat Ansari, a local activist, who, along with his colleague Bhukan Singh, tried to get villagers their dues from the MGNREGS scheme but which were being pilfered by corrupt contractors working in tandem with Naxalites. The Naxalites responded by assaulting Ansari, brutally beating Ansari with sticks, leaving him for dead. The villagers refused to help Ansari’s father carry his son to the hospital. By the time Ansari was taken to the hospital, he had died. This is just one story, of one many. There are thousands others. Like how Naxalites killed a four-month old baby at a Jan Adalat (people’s court), in front of her mother, because they suspected the father to be a police informant. Or that Naxals ‘burn mark sheets and transfer certificates of 10th and 12th students, so that they cannot go for further education‘ – thus leaving them to be harvested as unwilling terrorists into the Naxal insurgency. Or how Naxals ‘burnt fifteen vehicles of contractors who were building roads as they believe will eventually lead to development‘. Mainstream media does not cover this. It goes against the narrative that has been set by the urban Naxals. Like Arundhati Roy. “There is a thirty-three page essay by Arundhati Roy on the issue yet it doesn’t smell of the jungles. It smells of her. It stinks of her agenda.” This is how the Naxal insurgency is sustained and expanded – into cities, into the minds of the urban youth. How do the craven, the dishonest, the intellectually bankrupt fight ideas they don’t like? Naxals believe in outright violence, murderous violence, to silence opposition. Urban Naxals choose subtler, but equally reprehensible means. Like at the National Law University in Bangalore, where Vivek was to screen his movie. He lands in Bangalore, to be told by a student from the student committee that was helping book the venue and screen the movie. When the students insisted on going ahead with the screening, despite the express unhappiness of academics like Prof. Matthew, a Leftist and who had unsuccessfully contested the 2014 Lok Sabha elections as a candidate of the Urban Naxal party, AAP, the professor declares the day of the screening a holiday. Although the ocassion was Ram Navami, the NLU had never (or rarely) before declared a holiday for Ram Navami. Such is the abject bankruptcy of morality and intellect at the dens of Urban Naxals that Vivek faces. All through this, mainstream media maintains a remarkable level of self-censorship in reporting these events. During all this, Vivek has an opportunity to meet the prime minister. During an informal chat, the prime minister shares with Vivek his belief that the “cultural space shouldn’t be ‘rajya-aashrit’, government dependent, as it takes away the voice of reason but should be ‘rajya-puraskarit’, awarded by the state.” This innocuous statement provides a fascinating glimpse into the thinking of the prime minister. First, cultural space has always – repeat, always – been dependent on the benefaction of the rulers and the rich. Kalidasa, the greatest Sanskrit poet, is believed to have been a court poet in the reign of Chandragupta II. Tansen was a gem in the court of Mughal emperor Akbar. Sayana, who was the first to accurately calculate the speed of light more than six-hundred years ago, held office in the court of King Bukka Raya I and his successor Harihara II, in the Vijayanagara Empire. Whether it were kings in the past or governments in the present day, patronage has been the order of the day. To negate the role of the state in fostering and preserving the arts is to destroy a millennia-old tradition of the nation and one which has given to the world the best in art and science. Secondly, and more pertinently, it also betrays an inability to recognize the government’s moral duty to level the playing field where distortions have crept in. Previous perversions cannot be meekly accepted as a fait accompli or a status-quo. That is costly escapism. Vivek goes to IIT Bombay, at Mumbai, where Prof Bapat tells him that “all his life he has been attending the Indian Science Congress and various conferences to speak on Vedic Science, but since Modi became PM, wherever he speaks on Vedic Science, people start calling him Sanghi.” At IIT Madras, at Chennai, on the other hand, “is a fine example where many professors and students of the humanities department openly support terrorists like Yakub Menon, Afzal Guru, Andul Nasser Mahdani, etc.” This is also the place, Vivek is told, where the Dean did not allow the national song, Vande Mataram, to be sung during the Independence Day celebrations in 2015. In case one wonders how a premier institute of engineering and technology could turn into a cesspool of obscurantist ideologies, the answer is provided by a postgraduate student at the institute. He tells Vivek that “Many leftist activists, mostly from Kerala, have taken admission in the Humanities department. Many of them are associated with SFI, DYFI, CPI. Most of them are from non-engineering backgrounds and have taken admissions through tests and interviews conducted by department faculties [sic]. 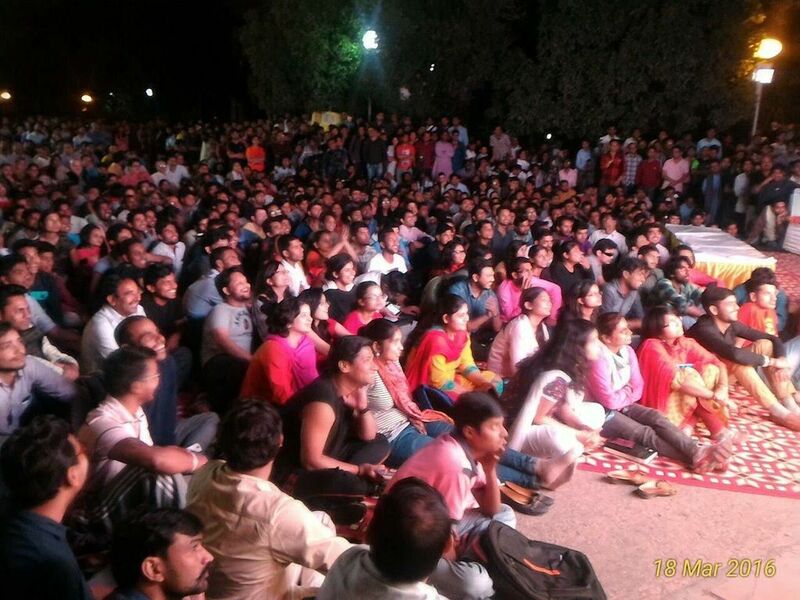 The admission process is highly questionable as it is mostly based on department faculty recommendations rather than any open competitive exam score.” Vivek writes that “Distribution of pamplets and sticking posters of hate speeches and anti-India substance are becoming common on the IIT campus.” Such is the stranglehold over the narrative that Urban Naxals have that they are successful in demonizing any and all dissenting voices. 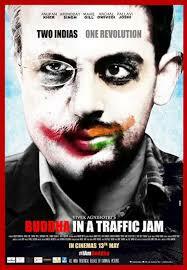 In March 2016, when Vivek lands in Kolkata, to go to Jadavpur University for a screening of his movie, his driver tells him, “Sir, this is Kolkata, a giant blocked drain. A gutter without an outlet.” He very well could have been describing the state of intellectual inquiry at Jadavpur University itself. Vivek finds that out shortly afterwards when his car – a Toyota Innova – is surrounded by a mob of hundreds of screaming students, who bang on his car, hit it with their placards, climb on the it, break the side mirror, and spit. Fine review, Abhinav… I would not have come across your review if not for my reading of Agnihotri’s book on the plane ride back and forth to Salt Lake City to attend a conference. Fascinating book, and a fine review!